It only takes a few minutes to be reminded what an incredible job our Supercars superstars do week in, week out behind the wheel. 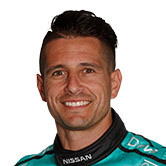 I was lucky enough to ride with Dean Fiore in the #23 Nissan Motorsport Altima at the Sydney Motorsport Park ride day this week and experience the forces, acceleration and adrenalin first hand in the passenger’s seat. It wasn’t my first time in a car, but you easily forget the sound, smell and sensory overload as you try and savour each hundredth of a second. 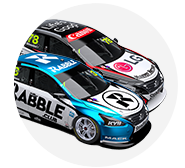 On arrival at the ride day, team boss and Bathurst winning driver Todd Kelly ramped up anticipation and explained that the car was exactly as it finished the race on Sunday – same engine, car setup, used tyres, with battle scars to marvel at. “The pace you’ll be doing around the track is about the pace we were doing at the end of the race yesterday, with tyres dropping off a fair bit and the cars moving around,” Kelly said. Then you suit up, line up, and time starts to slow down as those in front duck nervously into the Nissan and emerge with huge smiles. Jumping in with co-driver Fiore was fitting – both of us are from Perth, so I’ve been writing about him since his Porsche days and closely followed his progression through the Championship to a successful co-driver, with he and Michael Caruso earning a podium at the Gold Coast in 2014. One of the great things about that particular day was that there were 25 Supercars on-track – so trundling down pit lane, strapped in tight, you see other cars pulling in and out of the bays. You hit pit exit and it’s all systems go into turn two on the short circuit, which Kelly said was a second gear, 70km/hour corner. 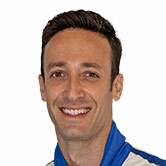 He also said we may be able to feel understeer – but thinking about the car’s behaviour was the last thing on my mind. With so many teams out there, it felt like we were in a race, chasing the Repair Management LDM Supercar into two. The Supercar feels so light through the corners, like you’ll topple over. You think you’re feeling bumps until we ride the kerbs and harshly change direction through the dog-leg – strapped in, my legs couldn’t reach the floor, and were flailing around through the corners before I clenched them still. Rides take place on the shortened 2.9km ‘Druitt’ circuit, so you cut from turn four to nine, running downhill into nine – the elevation at the track is surprising, and Fiore ran so wide I thought we’d run off-track. While I had wanted to focus on the sensations of the lap, I found it impossible not to be sucked into watching Fiore – smashing the brakes, muscling the steering wheel and checking the information communicated on the steering wheel. The way the Nissan’s dash is configured means you can’t see your speed. But by the time you get around the last 10-11-12 complex – which all just feels like one never-ending corner – you know you’re hitting high speeds on the straight hitting 265km/h. While the acceleration is incredible, you can see why the drivers say the straight is a breather because you feel more stable in the seat and the outside is less of a blur. Staring down the barrel at 210km/h turn one, you realise how such big accidents have happened there over the years – Kelly alluded to his big crash in ’99 in his welcome. I remembered another thing that sets me apart from the drivers – they have no fear. 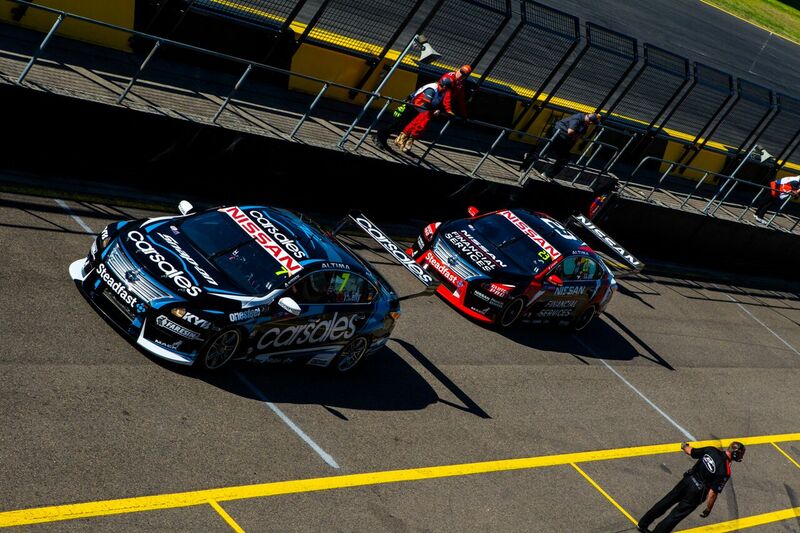 They can’t wait to get back in the car after injury, while I watch on dreading the thought of a violent crash, like in the case of Chaz Mostert or James Courtney after his return to the Gold Coast. One lap down and you can feel the stress on your body – your eardrums are vibrating, you feel yourself breathing and you know you’ll go flying if the belt was to come loose. You start going through that final complex after approach turn nine at 200km/h and all of a sudden the pit limiter's on, you're pulling back up to where it will start for the next lucky person. I emerged from the car excited but a little tired, even though I didn’t do any of the work! 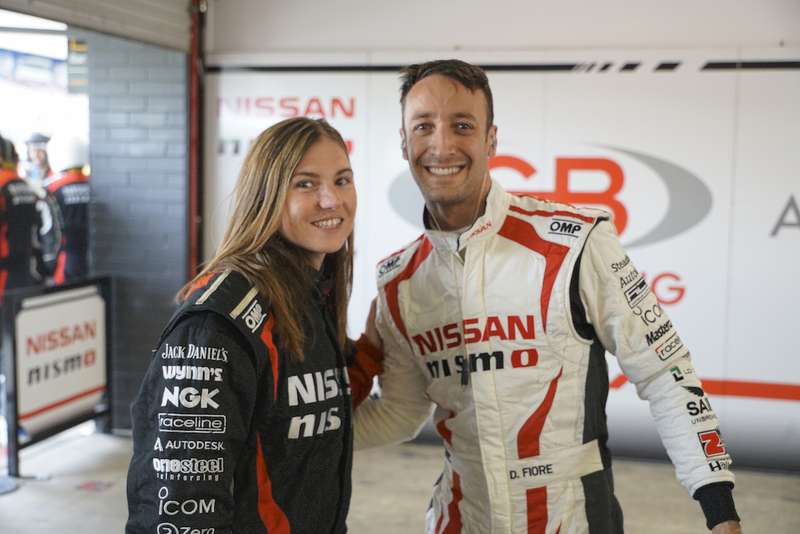 Thanks to Nissan Motorsport for the opportunity, and reminding me of the reasons I love this sport.